How do Scotland get the better of Ireland at Murrayfield? Josh Beaumont Column: Ireland struggled with the mindset of being favourites. England thrived off that. Ireland international Sean O'Brien will be heading to London Irish in December following the conclusion of World Cup in Japan. The former Ireland U20 made his professional rugby debut with Connacht in 2015 and soon became an integral part of the club making over 100 appearances. He also enjoyed winning four Heineken Champions Cup titles and two more victorious Pro 14 finals. His move to London Irish is unlikely to affect his World Cup chance as he is contracted with the Irish Rugby Football Union until the end of the showpiece event. However, his selection for the national side might be reconsidered when Andy Farrell replaces Joe Schmidt as head coach at the end of the year. The 31-year-old will also reunite with former Ireland coach Declan Kidney and Les Kiss at the Madejski Stadium. 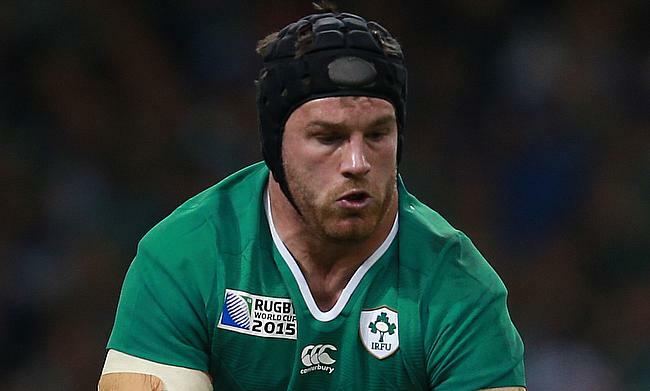 “After speaking with Declan it was obvious the ambition London Irish have as a club,” he said. “I’m keen to roll up the sleeves and use my experience to help re-establish London Irish as a top club in England. “It’s a club that’s been around for a long time and there’s an obvious connection to Ireland with some greats of Irish rugby having previously worn the jersey. The 6ft 2' back-row has played 59 Tests including five for the British and Irish Lions that came during the 2013 and 2017 tours of Australia and New Zealand respectively. “Recruitment is an on-going process, and we are always on the lookout for players of Sean’s ability,” Director of Rugby Declan Kidney. “Sean has proven himself time and time again to be a quality player who sets very high standards for himself and those around him, he leads by example and has a winning mentality.